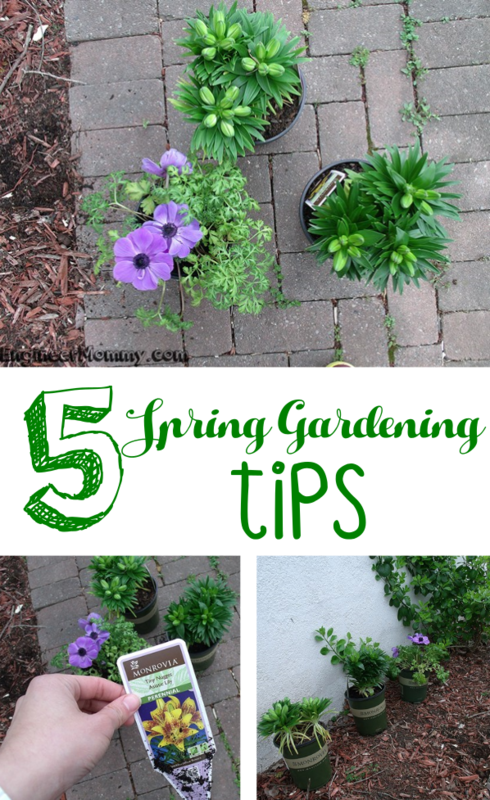 Many of you already know that I love repurposing & reusing things around the home. 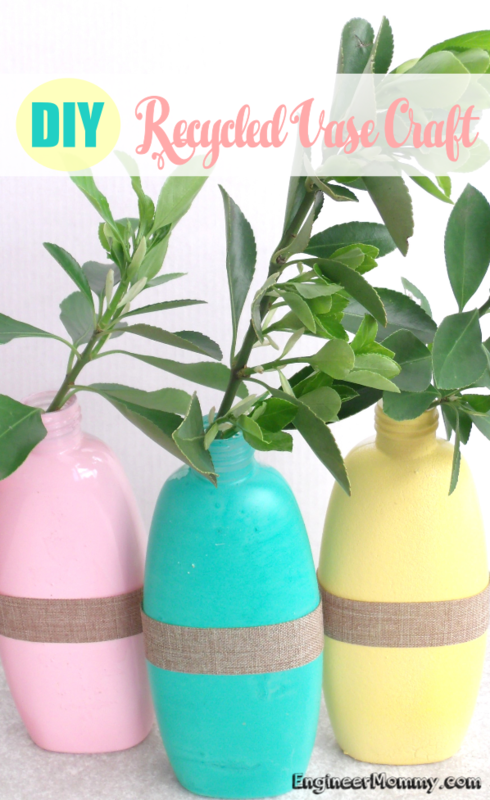 Today, I’m so excited to share with you all the tutorial for making some really cute Spring-themed vases using Johnson & Johnson Consumer Inc. Baby Shampoo bottles. Using some spray paint & ribbon, I was able to transform them into really cute vases for the home. I’ll also be sharing some details about the the Care To Recycle® program and how it’s encouraging families to recycle more in the bathroom. Here’s a sneak peek at the craft I made! Many of us already do plenty of recycling in the kitchen. However, did you know that many products from the bathroom can also be recycled?! I sure didn’t! In fact, about one-third of regular recyclers admit that they never realized there are so items that can be recycled in the bathroom. 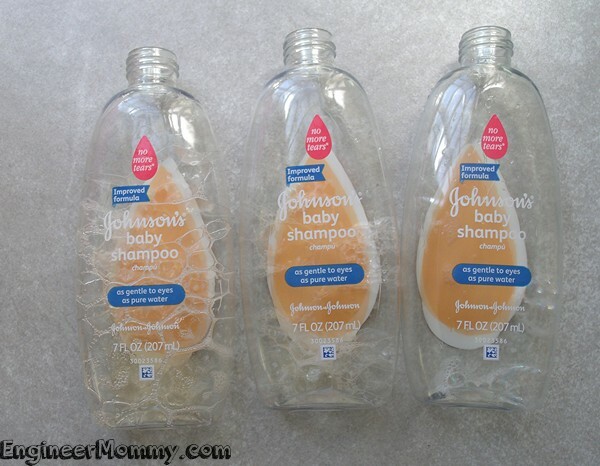 The Care To Recycle® program by Johnson & Johnson Consumer Inc. is a creative initiative to encourage families to recycle personal care products from the bathroom. Rather than having all these materials enter the landfills, we can recycle so many products (from shampoo to mouthwash bottles to bandage boxes) in the bathroom. So be sure to put a recycling bin your bathroom to make recycling easier. As parents, we need to teach our kids the importance and principles of recycling so that they can continue the tradition as they become adolescents and adults. In fact, recycling can be a fun family activity that benefits the household and the planet. 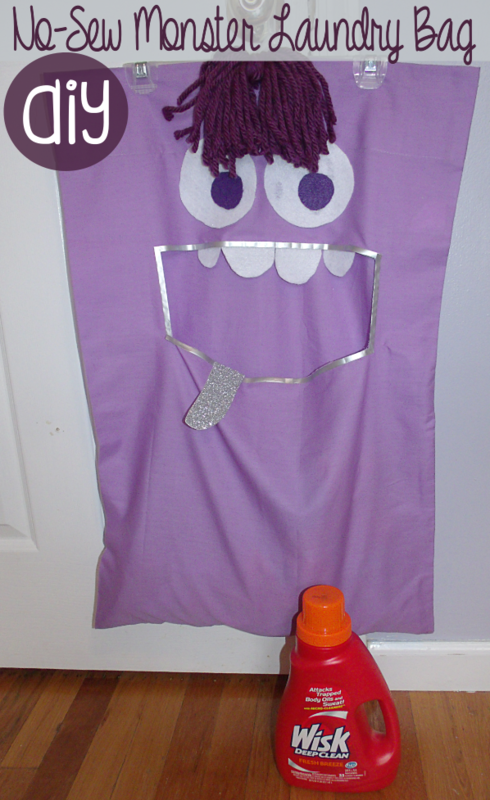 By making it into a game and keeping it fun, kids will want to actively participate in recycling! For more tips on recycling in the bathroom, as well as guidelines on which products can be recycled, please be sure to visit this link here! Now, let me tell you all how easily I recycled my Johnson & Johnson Consumer Inc. Baby Shampoo Bottles into cute Spring-themed vases! 1. Start by emptying your bottles and rinsing them with water. 2. Next, remove the labels by peeling them off. You can remove the label residue by using a citrus-based adhesive remover. 3. 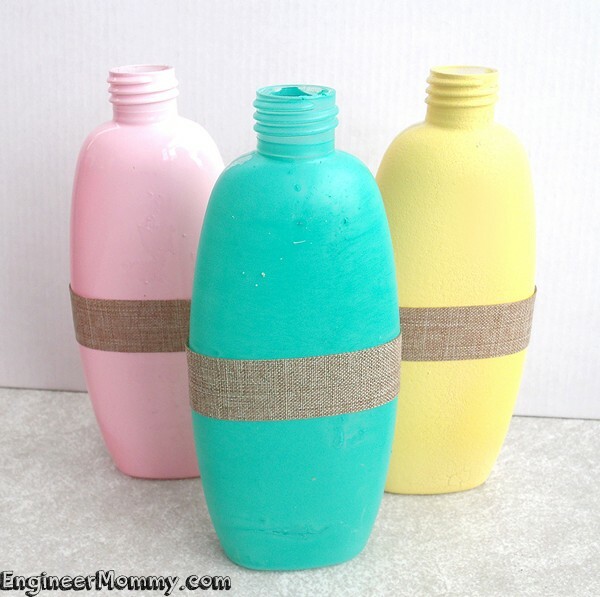 Spray paint the bottles different pastel colors. I chose blue, yellow & pink. 4. Finally, I added a strip of burlap ribbon around the mid-point of the bottles. This is just to create some uniformity among the bottles and give them a more finished look. 5. Adding some water inside the bottles and a few green clippings from my backyard completes this project! How easy was that?! I really love the way this project came together. Rather than throwing away these bottles after using them, I was able to recycle them into something beautiful & functional for my home! And this shows my kids that once we are done using something, we don’t have to throw it away. We might be able to re-purpose it as something else! 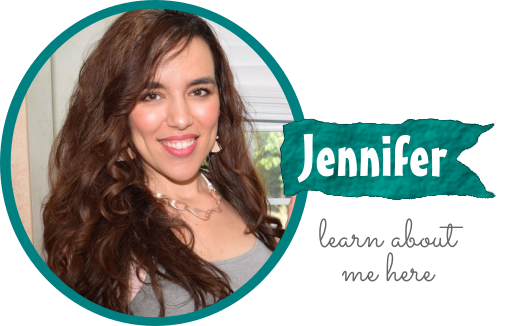 Now, learn more about the importance of recycling personal care products in your bathroom and tell me: Do you like to re-purpose things around your home? 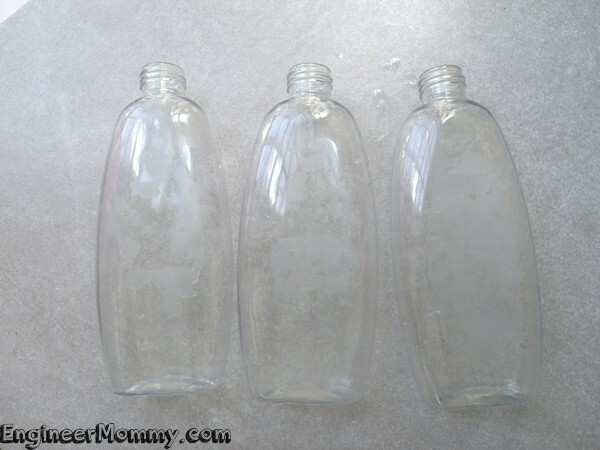 Have you ever made something from a Johnson & Johnson Consumer Inc. product bottle? 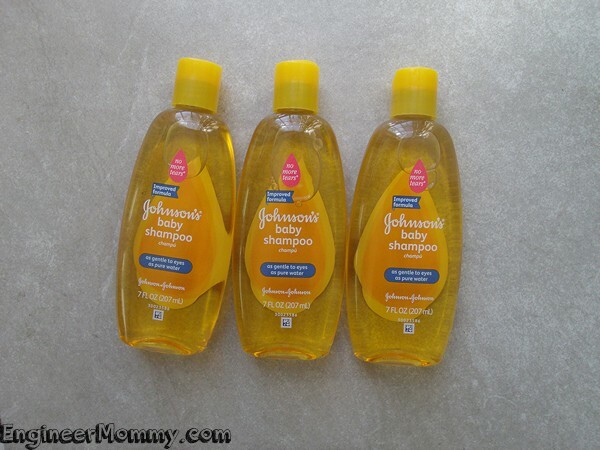 There’s no smell I love better than Johnson & Johnson baby shampoo! It’s just so fresh and clean. This is a great DIY craft and a pretty way to recycle. I would have never thought of doing this, but now I am so excited to try it. I would have never guessed you made those cases out of recycle bottles. This is such a pretty way to reduce waste. What a fun, and creative way to up-cycle bottles. I love these. I’ll have to show this post to my daughter. She still has a little one that uses the products. This is such a good idea! I wish I would’ve thought of this when I still had little babies. This would be cute with fake flowers too. What a neat program Johnson & Johnson is ruuning. This is such a good idea! I wish I would’ve thought of this when I still had little babies. This would be cute with fake flowers too. What a neat program Johnson & Johnson is running. oh what a great idea… i think there are many ways to recycle things and use them is a beautiful way.. The vase looks really colorful. It’s easy to do and can really brighten up your home. Oh wow, what a lovely DIY tutorial. 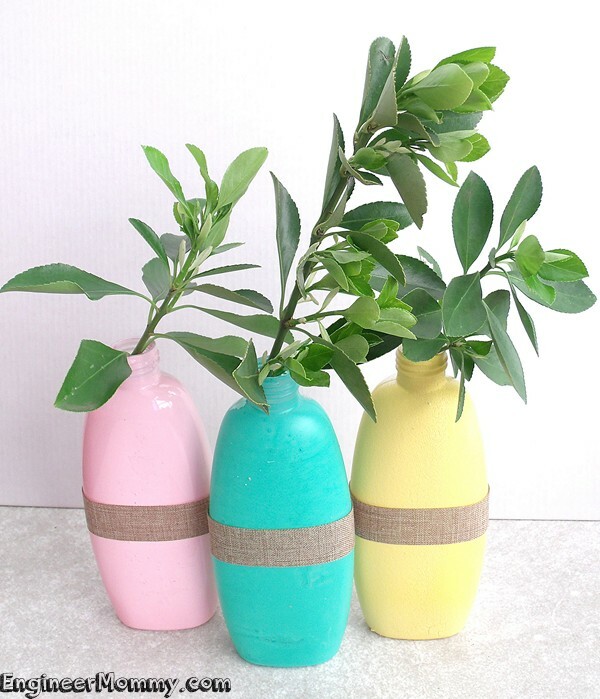 I am just loving how you repurposed these shampoo bottles into some cute vases. Really cute idea, your color choice is perfect for the spring season. I never thought to do this. What a great to reuse those empty bottles. I bet it would be fun to mix and match bottle shapes, as well! These are so cute. We have a few almost empty product containers around here. My daughter would love to do something like this. So cute and I love the colors. Bright and Vibrant for Spring/Summer! Great DIY! Wow that is great idea! I would have never thought of doing this but now I will try it with kids!! Oh these are so cute and creative! 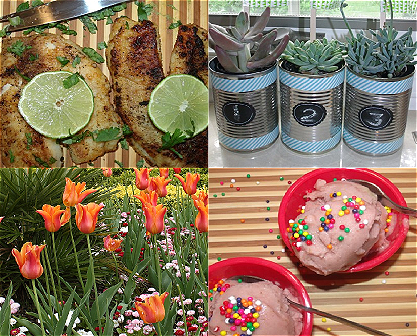 You should link this post up with my weekly linky party! I just posted the new linky yesterday! 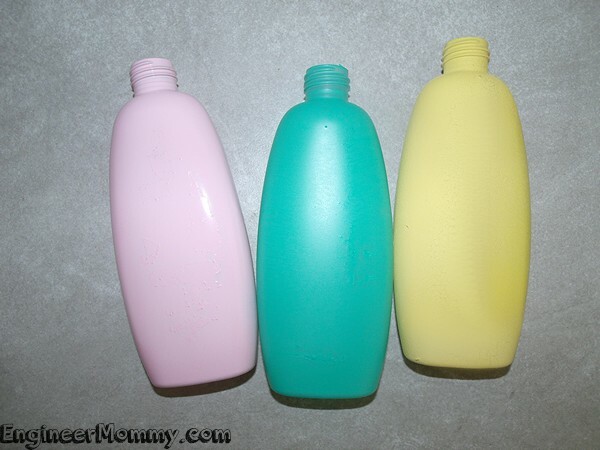 OMG, I had no idea those were shampoo bottles. AMAZING.I will have to make these, bookmarking! What a fun and simple DIY! I love this!!! I would of never thought to do this!